at walking distance from the most famous city sights! Easy reachable from the SMN Central train station in 10 minutes on foot, is a fabulous choice for your perfect stay in Florence. 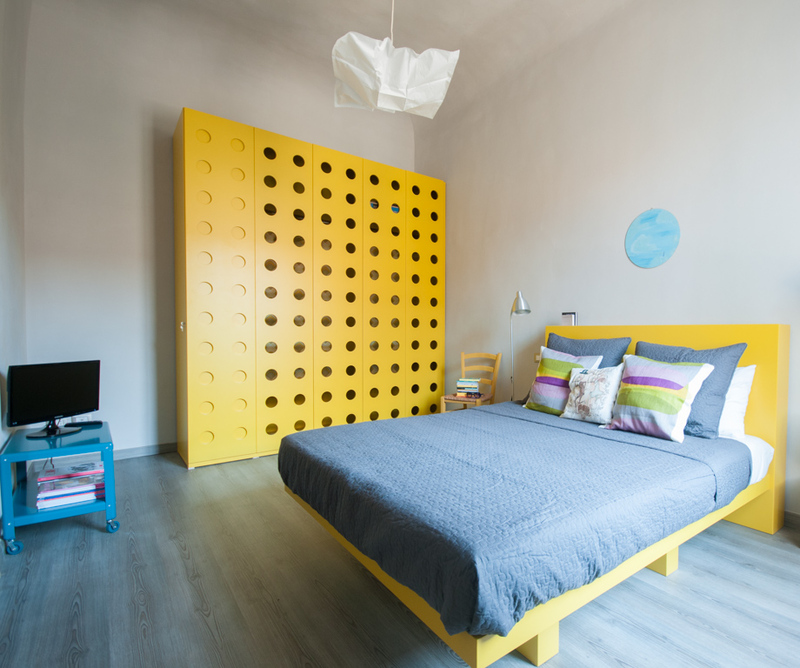 The Room is for 2 guests and has indipendent entrance and private bathroom for your total privacy in 30 square meters space! Located in Via delle Ruote inside a 1700' Italian Palazzo, a quiet district lived by Florentine's artisans, many caffè, pastries, restaurants, bakery, market and supermarket and stores as well. Feel free to come with your pet! We love to travel and meet new people from all over the world. We experienced every kind of accommodation from the backpacking tent, B&b on a boat, Boutique Hotel to the ancient Ryokan or prestigious Villas. We started managing with passion this 30square meters Senape Bedroom, to let you discover our beautiful city in a confortable way! Anything you might need during your stay please ask. Elisabetta and Claudia’s Senape experience was simply the best that I’ve had so far. 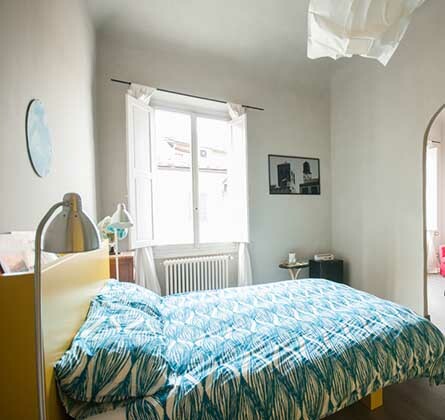 The space is a beautifully renovated private flat, with a stylish, modern design. It’s situated in a calm and convenient location near the city centre. Elisabetta was very friendly and helpful, and takes a real pride in being a host. Her communication was always very prompt and informative. Thank you both. We loved our stay in the Senape, the location was great and super convenient and the room felt private and comfortable! Claudia and Elisabetta were so kind and gave the best advice! We would definitely recommend staying with them! TIP: Our advice is to avoid to come by car in Florence, because it is not cheap to park it, all Florence has fee parking only, and you can easier come by train or bus. The best way to visit Florence is on foot.